The impressive 10ft wingspan of this Double Conyne Delta makes for a great stable lifter. 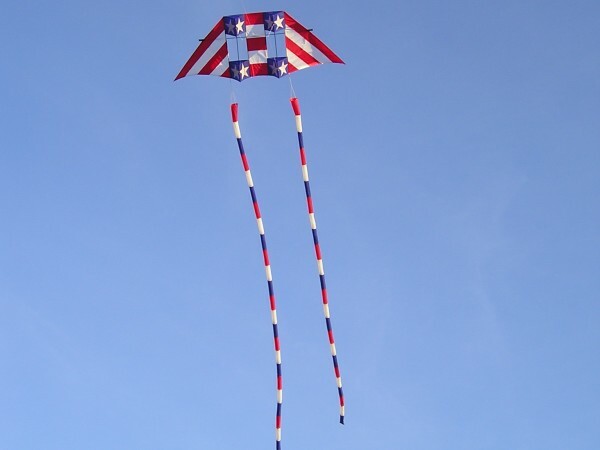 The 2 triangular "box" sections helps to maintain steady flight and allows this kite to perform well in a wide wind range. Great for lifting tails, this Double Conyne also makes a good KAP platform. 6 tail connection tabs at spines and wingtips. 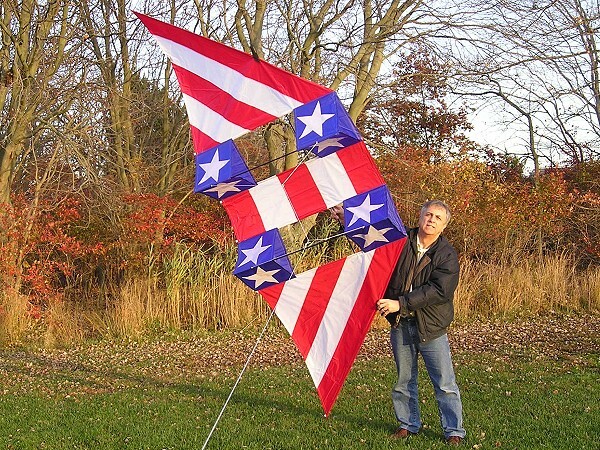 Size: 120" wingspan x 43"